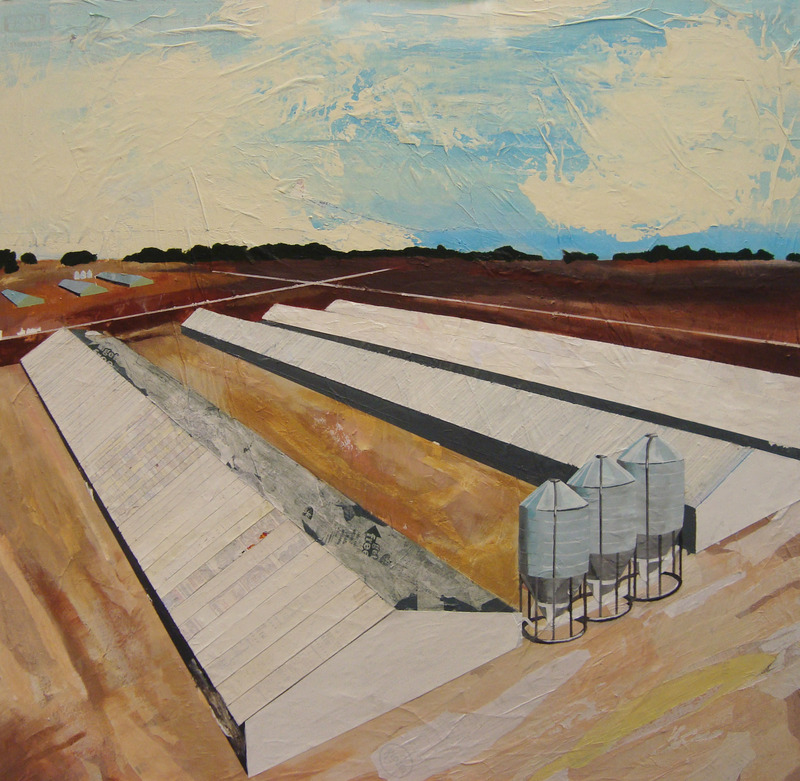 “Factory Farming” is a painting that I spent much of my summer working on. 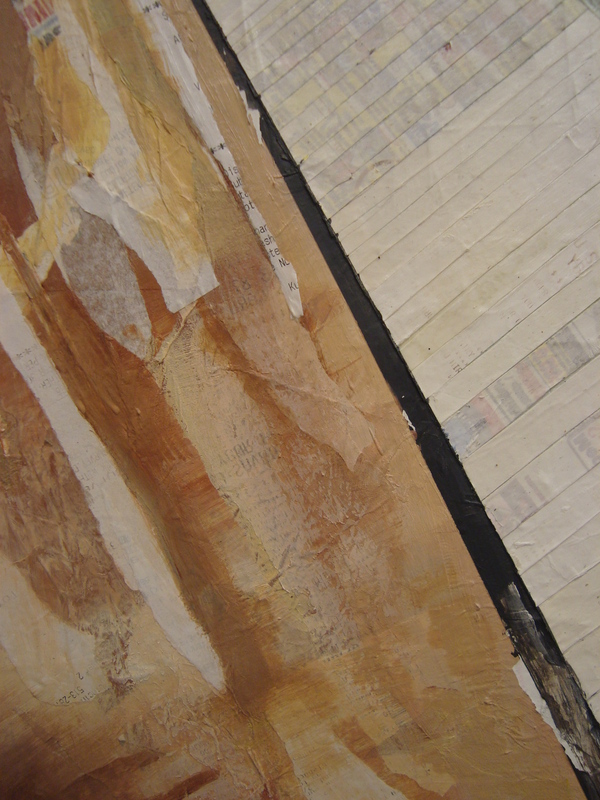 The painting is composed of meat receipts and acrylic paint and represents how consumers are helping to build factory farm landscapes by buying into the system. The first part of the painting I focused on was the sky. This happened by dipping a palette knife into a bucket of off-white house paint and gesturally painting clouds, mixing blue as I went. This part of the painting stayed the same from beginning to end. 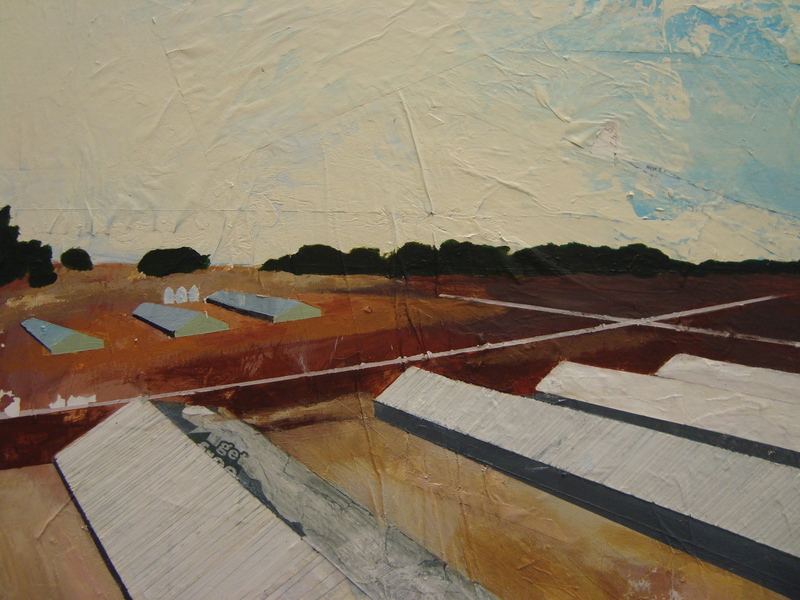 Another beginning step was mapping out where the factory farm buildings stood using frog tape. The scene, apart from the sky, is based on an actual photograph I found through Google. The next step was tiling the roofs. This was a long and intricate process involving folding, gluing, and cutting many receipts together. After finishing the buildings, I focused on the texture of the surrounding area. To achieve the rough look of the land in the reference picture, I layered and ripped off receipts until they looked right. I also experimented with getting the receipts wet with glue and using them to print ink onto different areas. The last step was painting the background. In the reference photo, there were actually more factory farms in the background. I wanted to make sure I put these in, as to represent reality. I submitted “Factory Farm” to the Clifton Cultural Art Center’s annual “Golden Ticket Exhibition” and made it into the show! The painting is for sale and will be in the exhibition until October 3rd. I am going to continue exploring these landscapes and see where they take me.